(RLSA) and Customer Match to help you be there and be relevant in those moments. Today, at SMX East in New York City, I’ll be sharing new insight into these ad innovations. Reach your customers across devices. If someone visits your website on their laptop or tablet, you can now reach them with more relevant ads when they search on their phone. 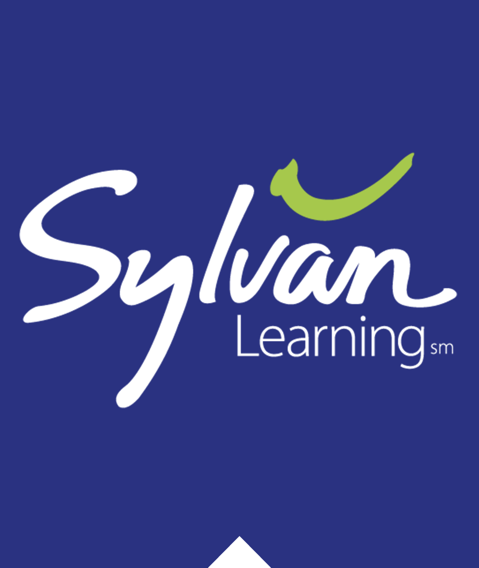 Keep site visitors in your list for 540 days. This longer membership duration makes it easier for businesses with seasonality or high consideration products to reach their customers. Add your remarketing lists at the campaign level later this year, making it faster and easier to use RLSA. This will work for Customer Match too. Since RLSA’s initial launch, advertisers like Intel, TransUnion and David Jones have seen tremendous results. Customer Match helps you reach your highest-value customers across Google Search, YouTube, and Gmail. We’ve found that advertisers using Customer Match and RLSA in combination are seeing strong performance. At SMX East I shared this insight that we learned from many advertisers who are seeing great results. Wine Enthusiast, a retailer for all things wine, combined RLSA with Customer Match and saw a 3x increase in ROI compared to search campaigns that used keyword targeting alone. Demographics for search ads (DFSA) has started rolling out to all advertisers globally. DFSA lets you adjust bids for ages and genders, and even exclude them, to help you reach specific groups of customers, as well as report on how they impact your campaigns. Learn more. Let’s say you’re a clothing retailer, and the majority of your customers are millennials — DFSA can help you to reach this audience more effectively. For example, you might increase your bids for users ages 18 to 34 to drive more sales from this valuable group of consumers. Consumer expectations for immediacy and relevance are higher than ever, and successful brands are those that connect with consumers in those critical moments — the I-want-to-know, I-want-to-go, I-want-to-buy moments. Based on our deep understanding of intent and context, we’ve built products like remarketing lists for search ads (RLSA) and Customer Match to help you be there and be relevant in those moments. Today, at SMX East in New York City, I’ll be sharing new insight into these ad innovations. Today, our industry is adjusting to another revolution, and it’s all thanks to the tiny device we carry with us everywhere we go – our phones. Throughout the day, when we want to go somewhere, watch something, or buy something, we reach for our mobile devices for help, whether it’s to find the best hotel deal or buy the perfect car. And billions of times a day, we find what we want on Google, YouTube, Maps, and Play. This morning at dmexco, a digital conference in Cologne, Germany, I announced two ad innovations that will help you be there in those moments, connecting the right consumers with what they want, when they want it. Apps are ubiquitous with mobile and are an increasingly important touchpoint for consumers. To date, AdWords has delivered more than 3 billion app downloads to developers and advertisers.1 And I meet with many of you from around the world to learn about the creative ways you’re connecting with your users – it’s the best part of my job. One insight I keep hearing is that users who engage with your app are the users that matter the most to your business. It’s not just about driving installs, it’s about delivering valuable actions within your apps – whether it’s reaching a specific level in a game or completing a purchase. We set out to solve this challenge. At dmexco this morning, I announced the next generation of Universal App Campaigns, available globally to all advertisers. Across Google Search, Play, YouTube, and the millions of sites and apps in the Google Display Network, Universal App Campaigns can now help you find the customers that matter most to you, based on your defined business goals. trivago, a popular hotel search app, was one of the first to test this new version of Universal App Campaigns. The brand cares deeply about helping travelers find the perfect hotel room and knows that users who tap on a deal are more likely to take the next step: book a stay. Like trivago, you get to choose the in-app activity you want to optimize for, whether that’s tapping into a deal or reaching level 10, and can use third-party measurement partners or Google’s app measurement solutions like Firebase Analytics to measure those activities. Once your in-app activities are defined within AdWords, you’ve plugged in your analytics solution, and set your cost-per-install, Google will put our machine learning algorithm to work. Universal App Campaigns evaluate countless signals in real time to continuously refine your ads so you can reach your most valuable users at the right price across Google’s largest properties. As people start to engage with your ads, we learn where you’re finding the highest value users. For example, we may learn that the users who tap into the most hotel deals are those who watch travel vlogs on YouTube. So, we'll show more of your ads on those types of YouTube channels. For trivago, Universal App Campaigns was able to find users who were more likely to click on hotel deals in app to book a room. As a result, the travel brand acquired customers who were 20% more valuable to its business across both Android and iOS. This is a major shift in how Google can help you grow your app business. We’re listening, and we’re no longer just focusing on the install. Our goal with Universal App Campaigns is to deliver user engagement and value for the apps you worked so hard to build. The mobile revolution hasn’t just changed how we search or interact with apps, it's also changed the way we interact with almost every kind of media. Nowhere is this more evident than the way people watch video. We see this every day on YouTube. In a recent study, we found that 47% of U.S. adults aged 18 to 54 say YouTube helps them at least once a month when making a decision about buying something – that’s an estimated 70 million people going to YouTube every month for help with a purchase.2 These intent-rich moments are opportunities for brands to connect with consumers when it matters, so we took on the challenge of making it easier for consumers to move from consideration to purchase. Over the last few years, we’ve evolved our TrueView format to change the way video delivers value for performance marketers. TrueView for app promotion and TrueView for shopping make it incredibly easy for brands to drive downloads and purchases directly from YouTube. But what about brands with other types of conversions, like requesting a quote, booking a hotel, signing up for a newsletter, or scheduling a test drive? Today I’m excited to introduce TrueView for action: a new format that encourages users to take any online action that’s meaningful for your business. TrueView for action makes your video ad more actionable by displaying a tailored call-to-action during and after your video. This call-to-action can be adapted to your specific use case, like “Get a quote,” “Book now” or “Sign up.” Since this is an easy add-on to your video, you can drive performance on top of all the benefits of showing your video to an engaged audience. This is especially advantageous for brands that offer products or services with high consideration, like financial services, automotive, or travel. TrueView for action can help you move your customers along the path to purchase by encouraging actions like scheduling an appointment or requesting more information. We’re excited to start testing this new format with advertisers throughout the rest of this year. As consumers live their lives in a mobile-first world, it’s increasingly important for brands to build transformational mobile experiences. We know it’s not always easy, and Google is here to help. It’s been so inspiring to see so many of you deliver extraordinary experiences for your customers, and I think dmexco embodies this shared passion and innovative spirit for connecting brands with consumers. I look forward to meeting with more of you and continuing along this amazing journey. When I started at Google 13 years ago, I was an ad tech engineer building products based on the idea that an online ad is only effective if it leads to a click and a purchase. It sounded simple at the time, but it’s revolutionized the way brands connect with consumers. 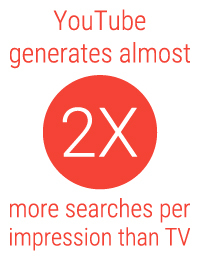 so advertisers can provide more information about your business right in your search ad. While many have seen great results with the new, longer ad format, some advertisers are still learning how to use it effectively. Expanded text ads can deliver great results, particularly for those who have invested in writing and testing new creatives. Please use this additional time to experiment with new expanded text ads of your own. 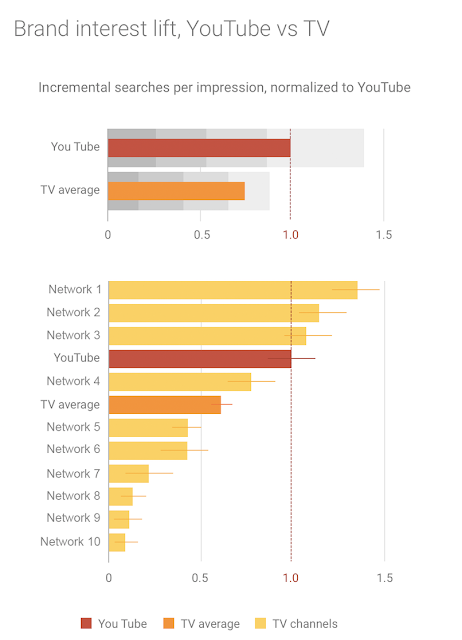 Over the last few months, we reviewed a lot of text ads data. It confirmed what we already know to be true: the quality of your ads matters. Extra characters don’t solve any performance problems on their own. It’s very important to be thoughtful and compelling with your additional headline and characters. Test multiple versions of your expanded text ads. 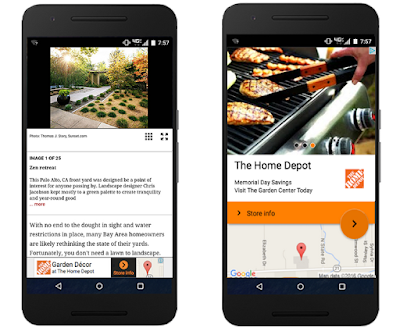 Try different approaches with the new space your ads now have. Shoot for 3-5 new ads per ad group. Advertisers who test multiple creatives see better performance. Consider shorter headlines on brand terms. Sometimes “Your Company’s Name - Official Site” might be all you need. You aren’t required to use all of your available characters. Test shorter ad copy, especially on terms where someone might not need a lot of additional info. If you’re still getting up to speed with expanded text ads, check out our best practices for creating effective ads. We’re also hosting an upcoming Hangout-on-Air to go over some of the considerations as you make this important transition. Here’s to a successful holiday season filled with great, user-friendly text ads - be they standard or expanded. Earlier this year, we introduced expanded text ads so advertisers can provide more information about your business right in your search ad. 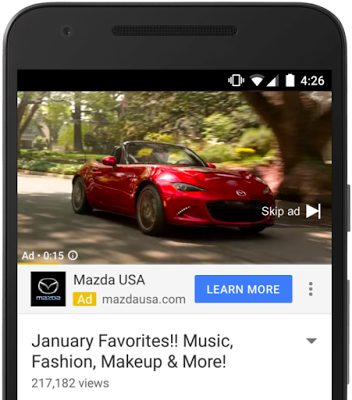 While many have seen great results with the new, longer ad format, some advertisers are still learning how to use it effectively. , which has more stories of how all types of retailers and brands are reaching consumers with useful information in the moments that matter. Then, head to our official Holiday Planning Guide for tips on how to get your product data and campaigns in tip-top shape for the holiday season. Mobile has forever changed the way people shop. 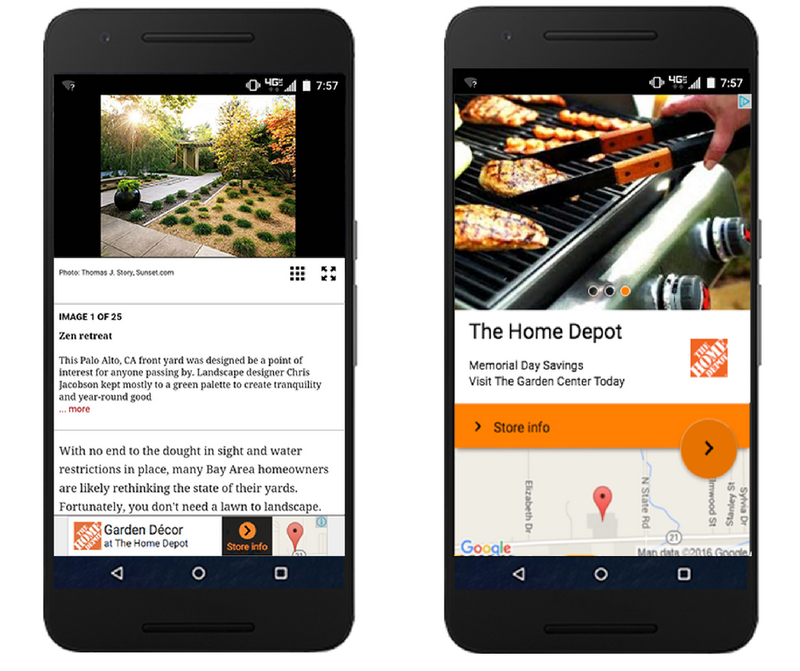 A shopper's smartphone is there for them anytime, anywhere in countless micro-moments. The question for retailers is: are you prepared to meet these shoppers in the moments that matter most? Learn how best in class retailers are looking to be there and be useful to shoppers no matter where they’re discovering, researching or purchasing. To reach shoppers as they’re researching, Best Buy added all of their product information into mobile buying guides. They also worked with Google to surface their local store inventory within search so that customers know exactly which products are available in-store. Hear Greg Revelle, Best Buy’s Chief Marketing Officer, discuss how this mobile-first strategy helped Best Buy drive over one million store visits with Google last holiday season. Lifestyle icon Williams-Sonoma Inc. has always been a visual brand. But the brand has had to rethink the way it tells its story. Its catalog used to be the cornerstone of its relationship with consumers, but mobile phones are increasingly the new starting point for kitchen connoisseurs (especially millennials). Hear how Williams-Sonoma Inc.’s Chief Marketing Officer, Felix Carbullido, has developed customer-first strategies to increase the company’s mobile sales by 70% year over year. Swarovski has always been a go-to destination for holiday gift giving, but the brand learned through search data that there was a huge opportunity in connecting with consumers in more everyday moments when they're wondering what to wear on a date or how to accessorize an outfit for work. Since 50% of Swarovski's site traffic comes from mobile, the brand focused on developing mobile content that's visually rich and easy to navigate. The company's fun and interactive Style Finder offers ideas for how to accessorize an outfit for work or that special date night. It also allows the customer to dial-up or dial-down a look, depending on her mood. Since a large percentage of purchases still happen in-store, Swarovski uses Google’s local inventory ads to drive those inspired customers into their stores where they can try on a necklace or bracelet and complete the sale. In fact, local inventory ads are driving a 75% higher click-through rate than its standard Shopping ads. Learn how Swarovski’s team is using mobile to inspire and draw customers in-store store. As we head into the biggest shopping season of the year, are you ready to give your shoppers everything they'll be looking for in their mobile micro-moments? Read our Shopping Micro-Moments Guide, which has more stories of how all types of retailers and brands are reaching consumers with useful information in the moments that matter. last year to improve app discovery and help developers reach users right when they’re looking for new apps to install. It’s one of several platforms, alongside YouTube, Google.com and the Google Display Network, where developers can introduce your apps to high quality users. Developers all around the world, like GrubHub, have seen tremendous success in terms of reach and install rates with Google’s app promo products. See full story. We’re building on this momentum by fine-tuning the ads experience on Google Play to deliver even more growth for the developer community. First, for app-specific searches on Google Play, ads in their current form will not be shown at the top of the page. Instead, the organic result for the app will show at the top of the page, followed by additional organic results and possibly ads for other relevant apps. So when a user searches for “Google Express,” she will see the organic result for “Google Express” without an identical “Google Express” ad above it. This change is part of our ongoing commitment to improve user experience and advertiser performance. We encourage developers to monitor your campaigns as there may be some natural changes in performance metrics as we roll out these updates. Second, a relevant, additional ad will start to show on Google Play for some queries like “music streaming app” and “exercise app.” This new ad spot gives developers an additional opportunity to promote the apps you’ve worked so hard to build. Innovations like search ads on Google Play have proven to be a useful way to surface new apps for consumers and provide additional value for developers. We look forward to building on this momentum with new tools and best practices to bring even more success to the developer community. Google Play reaches more than a billion people on Android devices in over 190 countries — providing a platform for consumers to find the coolest new apps and enjoy the latest music, movies, and books. We introduced search ads on Google Play last year to improve app discovery and help developers reach users right when they’re looking for new apps to install. It’s one of several platforms, alongside YouTube, Google.com and the Google Display Network, where developers can introduce your apps to high quality users. Developers all around the world, like GrubHub, have seen tremendous success in terms of reach and install rates with Google’s app promo products. See full story. We’re building on this momentum by fine-tuning the ads experience on Google Play to deliver even more growth for the developer community. You can now package AdWords campaigns (including Video, Display, Search, and Shopping campaigns) into a single campaign group. For our holiday example, set up your YouTube and Display campaigns, select “campaign groups” from the left menu, and group those two campaigns together to create a campaign group called “Holiday Launch”. Performance targets make it easier to monitor and reach your performance goals for each campaign group. Tell us how many clicks or conversions you want to receive, how much you want to spend, and what average CPC or CPA you wish to maintain. We'll then automatically show you a single view of how your campaign group is performing against those goals, and what we think you'll likely achieve by the end of the campaign period. “Previously I needed to export all my campaigns into a spreadsheet, group them together, and create a pivot table simply to see how they are performing. 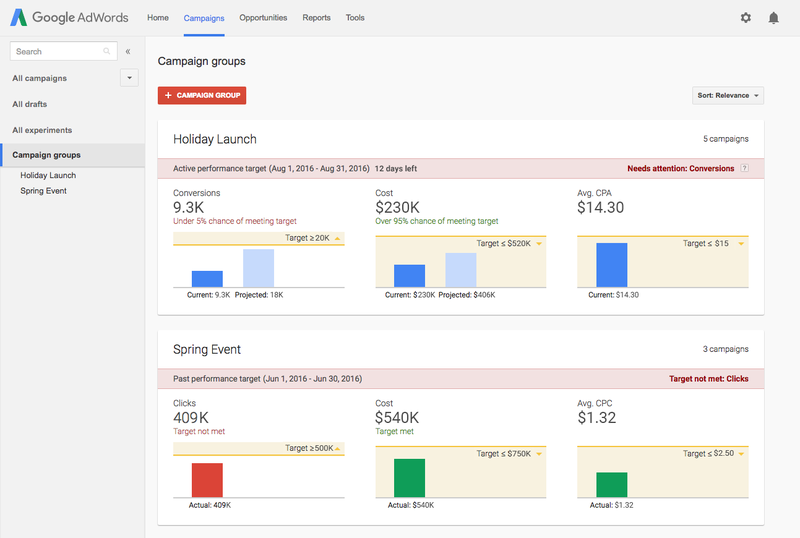 With campaign groups & performance targets, we can much more easily see how our groups are performing relative to our goals, all from within the AdWords interface." Note that creating performance targets does not change how we serve your ads or optimize your campaigns. Instead, use it to evaluate whether or not your campaigns are working together toward your broader goals. To learn more about campaign groups and performance targets, please visit our Help Center. AdWords provides powerful tools to help advertisers grow their business. For example, if you’re about to launch a new holiday campaign, you can use TrueView ads on YouTube along with banner ads on the Google Display Network to drive brand awareness and more holiday sales. To make it easier for you to track and forecast the performance of these campaigns against your advertising goals, we’re introducing campaign groups and performance targets. and nearly half of US readers consult blogs to find new trends and ideas2. To help people discover and explore products and brands in these I-need-some ideas moments, we’ve been focused on building ads experiences, such as Showcase Shopping ads and Shopping ads on image search, that drive discovery. Last week, we launched a unique Fashion Week experiment which enables people to explore the world of fashion and shop products directly from curated, inspirational images on google.com. This week we are rolling out a new apparel and home decor experience for our retail advertisers called shop the look. Let’s say you’re looking for a new outfit to wear to a wedding. If you search for “cocktail attire”, you could see an image of a popular fashion blogger wearing a black cocktail dress, heels and sunglasses. You can shop those exact (or visually similar) products featured in the image by tapping through and exploring the relevant products shown in the form of Shopping ads. As with standard Shopping ads, retailers will be charged on a cost-per-click basis, and all impressions and clicks will be reported within existing Shopping campaigns. The featured images that power the shop the look experience come from brands, bloggers, retailers and publishers, which are sourced from trusted partners such as LIKEtoKNOW.it., Polyvore and Curalate. We're currently testing the shop the look experience in the US on mobile devices. If you’re a retailer and interested in showing your products within the shop the look experience, create a Shopping campaign and ensure you optimize your bids to show on mobile. Ninety percent of smartphone users say they aren’t absolutely sure of the specific brand they want to buy when they begin shopping1 and nearly half of US readers consult blogs to find new trends and ideas2. To help people discover and explore products and brands in these I-need-some ideas moments, we’ve been focused on building ads experiences, such as Showcase Shopping ads and Shopping ads on image search, that drive discovery.